The Tsechu Festival is one of our favourite tour and we’d be delighted to help you discover this impressive region in Nepal. 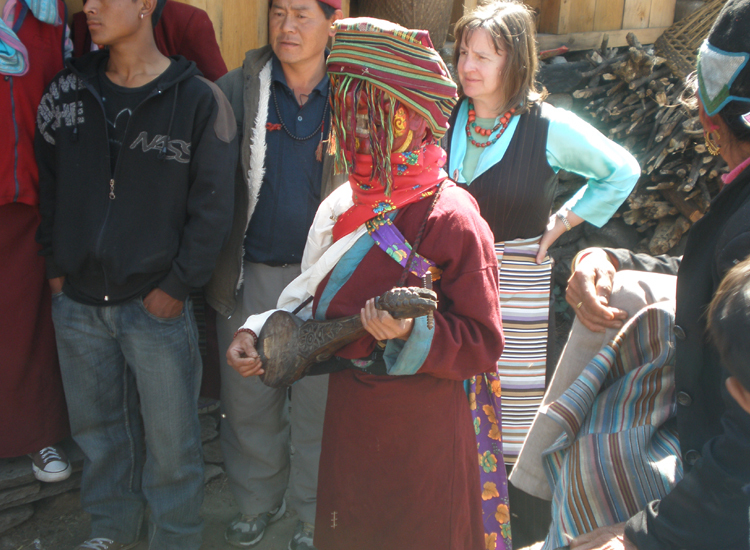 Enjoy excellent trek combined with authentic villages that offer a homestay program in traditional homes, great views of mountain in Tibet, Ganesh Himals and rhododendrons. 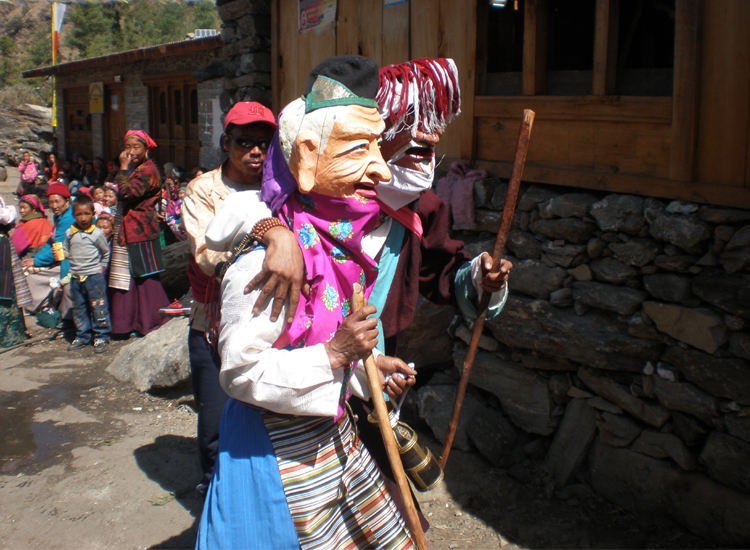 Participate in large social gatherings annual religious festival with people of villages and enjoy sacred mask dances in Briddim village. 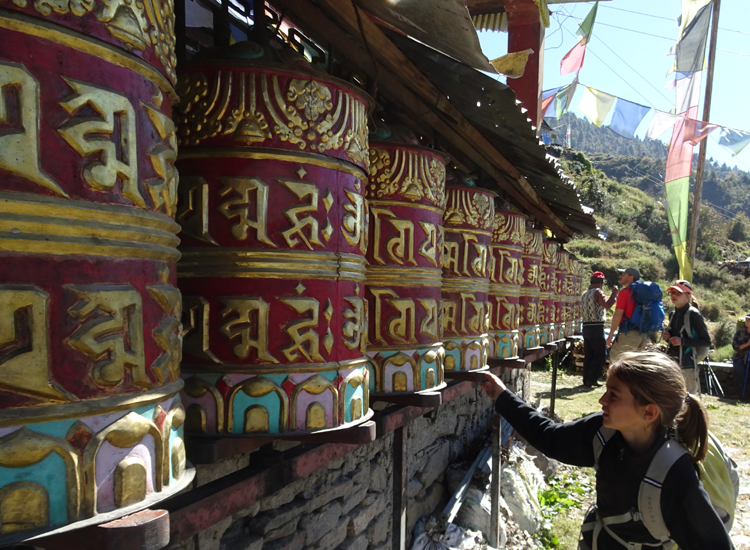 he Tamang Heritage Trail is a rewarding trekking experience with a strong focus on local culture. The trail lies in one of the bordering regions between Nepal and Tibet. There is a long history of trade and cultural exchange which enriched the local culture and the ritual practices on both sides of the border. Developed by the Tourism for Rural Poverty Alleviation Program, the "Tamang Heritage Trail" is one of the newly developed trails that are less crowded and put a stronger emphasis on culture than some of the more classic trails. The Tamang Heritage Trail gives you an idea of ancient lifestyles but also offers stunning sceneries and (as a reward) relaxing and healing baths in natural hot springs. This trip starts with 5-6 hours jeep journey from Kathmandu to Shafbru Bensi. On the way, you can gather many impressions of rural Nepal. We then start trekking in earnest making our way through the small villages along the trail. You can observe local customs and traditions, chat with locals and, of course, drive a good bargain when shopping for locally produced handicrafts. At Tatopani you can enjoy the healing hot-springs - a particularly rewarding experience after the strains of the trek. 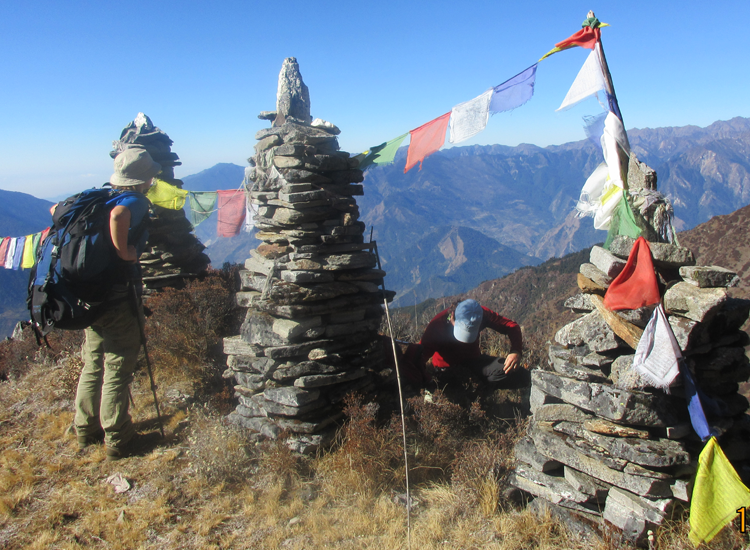 The Tamang Heritage trail is a very pleasant trek without technical difficulty. A remarkable cultural experience set in an impressive environment. Tse-Chu Festival; Briddim is a beautiful village and the village is famous for homestay and bird watching. The village is situated in northern part of Himalayas region Langtang. The five day festival annual religious takes place in this village. The traditional religious display program begins every year on March or February. 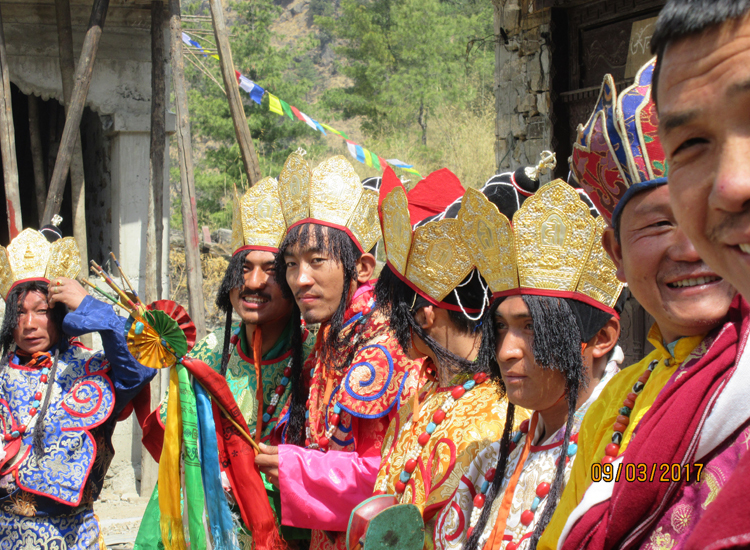 It is Tibet and Briddim village traditional religious festival. The festival also held in Timure (close to border of Nepal and Tibet and then Khagjim too but in different date and same month. During the festival all neighbor villages participate and attain to watch the great and sacred festival. 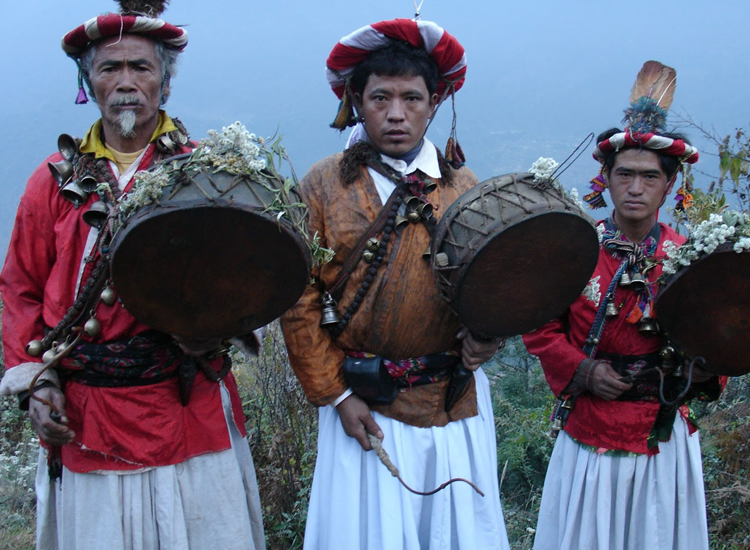 Tsechu festival is large social gathering, which perform the functions of social bonding among people of remote. It is really sacred chams Dances and costumed, masked dances typically are moral vignettes. These festivals celebrate for the memory of great Guru Rinpoche and to make delighted all the god and goddess of the village. Local also celebrate this festival to bring prosperous in a village and throw bad evil of the village from per house. 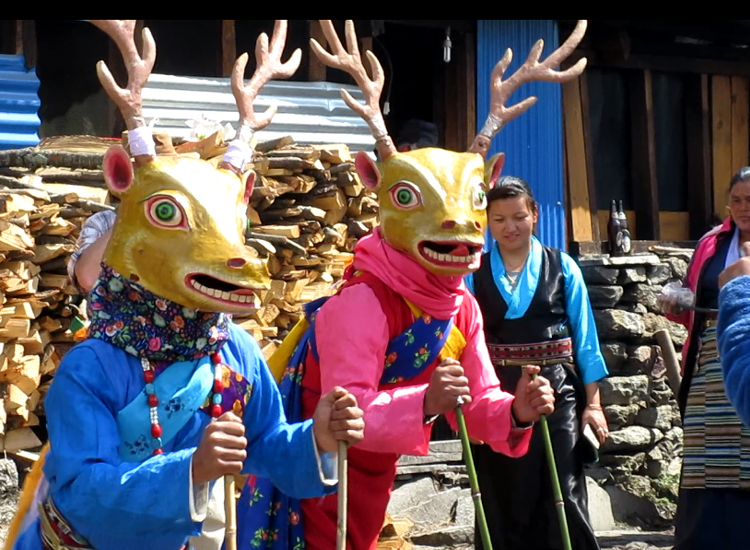 Briddim Tsechu festival trekking tour offers overall traditional sacred dances symbol and make your entire trip exciting and unique. If you prefer to extend the trip and continue to Langtang Valley Trek or Gosaikunda Trek or Helambu Trek rather than return to Kathmandu, this can also be arranged. Is Peak Climbing Your Passion? Make your dream come true with booking Yala Peak Climbing(5520m) with us. To summit the peak, you are not require previous mountaineering experience. Initial section, we will follow the Prithvi Highway, soon you will arrive in Trishuli Bazaar. From here your journey begin with ascend on narrow road. 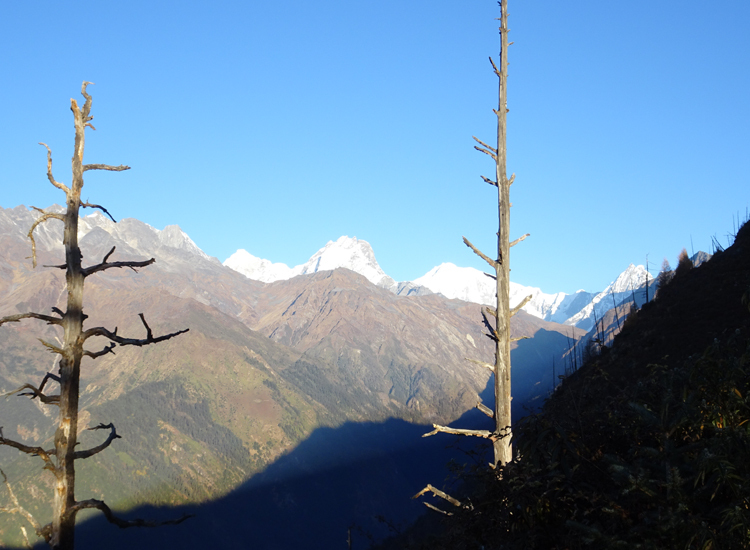 You will observe the views of Ganesh Himal and ranges of Langtang. Gradually with several ups, downs and passes drive bring us to Gatlang. Gatlang is one of the incredible village to experience. Our initial segment of trail begins with on gentle descend through agricultural field with plenty of ancient Mani Walls. Gradually your pleasant journey will bring you to Thangmuche village. The village is inhabited with Tibetan refugees and Tamang ethnic group. From here your journey begin with ascend till Tatopani. Our journey begins with ascend trail through the forests and soon we will arrive in Gombaling. From here we will climb up gentle ascend and the journey will offer you the pleasant views of various landscapes, ridges of Langtang, Gosainkunda etc. We will hike to Taruche view point spot. The journey will offer you incredible experience of Ganesh Himal ranges, birds, ample of Himalayas of Tibet, villages and outstanding landscapes of Tibet. After we will continuous to Thuman. Our journey begins with descend through bushes trail till, alpines and rhododendrons forest Lingling village. After we climb to Briddim through Pelko village. We will experience typical villages, people life style etc. Tse-Chu Festival: Briddim is a beautiful village and the village is famous for homestay and bird watching. The village is situated in northern part of Himalayas region Langtang. The five day festival annual religious takes place in this village. The traditional religious display program begins every year on March or February. 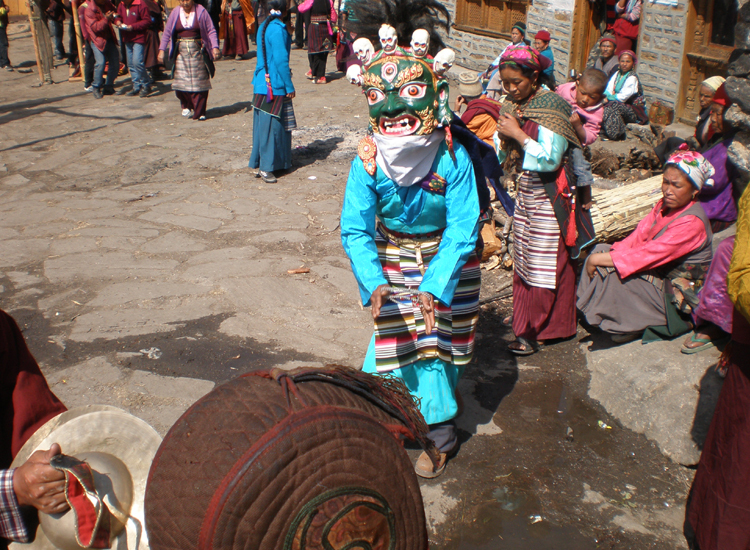 It is Tibet and Briddim village traditional religious festival. The festival also held in Timure (close to border of Nepal and Tibet and then Khagjim too but in different date and same month. During the festival all neighbour villages participate and attain to watch the great and sacred festival. Tsechu festival is large social gathering, which perform the functions of social bonding among people of remote. It is really sacred chams Dances and costumed, masked dances typically are moral vignettes. These festivals celebrate for the memory of great Guru Rinpoche and to make delighted all the god and goddess of the village. Local also celebrate this festival to bring prosperous in a village and throw bad evil of the village from per house. 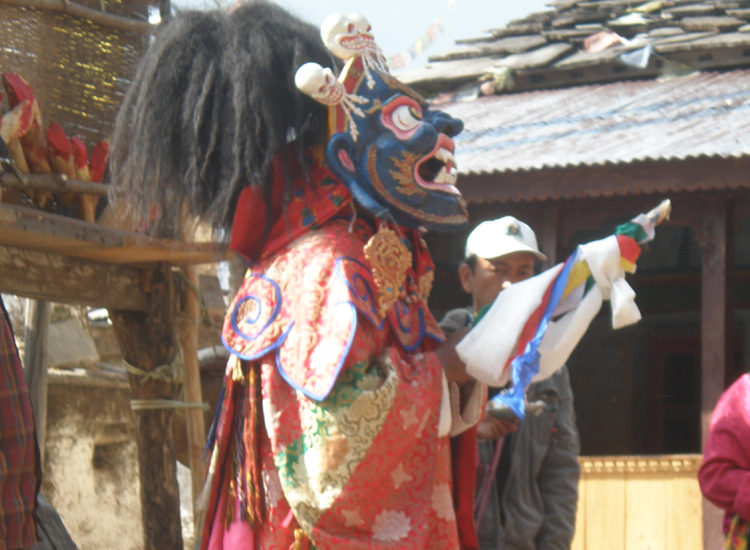 Briddim Tsechu festival trekking tour offers overall traditional sacred dances symbol and make your entire trip exciting and unique. For the return trip, you will go back the way you come to Syabrubensi or continuous over the Langtang Valley. We make our way back and return to Kathmandu. 3. 2 pairs of thick woolen socks.